Kim Jong Un made the remarks as the pair chatted ahead of their summit in the Demilitarized Zone that divides the Koreas, the official said. Seoul, South Korea: North Korean leader Kim Jong Un told the South's President Moon Jae-in on Friday he was willing to visit him in Seoul "any time if you invite me", Moon's spokesman said. Kim made the remarks as the pair chatted ahead of their summit in the Demilitarized Zone that divides the Koreas, the official said. 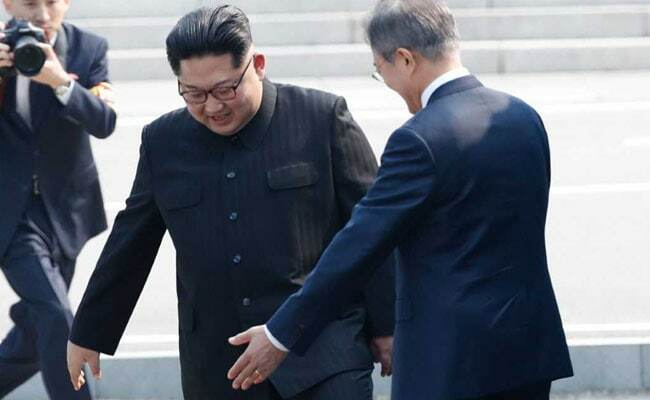 Moon expressed hopes that after their summit at Panmunjom, "our meetings will continue at Pyongyang, Seoul, Jeju island and Paektu mountain" -- the island and mountain at the southern and northern ends of the Korean peninsula.